Life won't always gift your child with exactly his heart's desire. But there are ways you can make sure that, underneath it all, he learns to appreciate what he has. I was 7 years old when I received a tiny Christmas present—about the size of an eraser—awkwardly wrapped and covered in tape. My sister's boyfriend, Jeff, was visiting and had considerately brought gifts for his girlfriend's three younger siblings. Mine, though, was by far the smallest. I remember opening it up to reveal a miniature ceramic dog—a cold, hard nothing that fit in the palm of my hand—and thinking how unlucky I was. I gave Jeff my best cold shoulder the rest of the day. And I've felt guilty about it ever since. Partly because, in hindsight, Jeff's gift was very thoughtful: I'd been obsessed with my dollhouse, and he had managed to find one accessory my dream home did not yet have—a pet. Still, I couldn't look past the size of the gift to be grateful for the amount of care that had gone into choosing it. In this, experts say, I wasn't an unusual kid: For distractible, still-developing children (and that's pretty much all of them), gratitude can be hard-won. While many can be trained to say "please" and "thank you" beginning at about 18 months, true appreciativeness and generosity take time to seed and blossom. "There's a difference between encouraging thankfulness in your kids and actually expecting it," says Claire Lerner, a child-development specialist at Zero to Three, a nonprofit organization dedicated to the healthy development of kids and families. "Raising a grateful child is an ongoing process." Vicki Hoefle, director of Parenting on Track, a parent-education program based in East Middlebury, VT (and the mother of five teenagers), concurs: "As nice as it is to think about having a five-year-old who appreciates and shows gratitude for everything, the truth is, parents can feel successful if they raise a thirty-five-year-old who embodies that grateful spirit." Your 9-year-old keeps a running—and growing—list of toys he has to have. He's up to number 23 this season. "Emphasize that you appreciate there are many things he wants, but let him know it will only be possible to get a few of them," says Robert Brooks, Ph.D., a psychologist at Harvard Medical School and coauthor of Raising a Self-Disciplined Child. That way, you won't make him feel greedy or foolish for compiling a lengthy list, but you will set his expectations. Another idea: Ask him to make a second list, equal in number to the things he wants to get, of things or actions he is willing to give, suggests Maureen Healy, author of 365 Perfect Things to Say to Your Kids. For example: 1) Clean his room, 2) Help you find a charity that the family can donate to, 3) Pitch in when Dad starts wrapping presents, 4) Make a holiday card. Last, if you're in for belt-tightening this year, let him know. Be honest, but keep it simple and undramatic so you don't scare him. Instead of saying "Dad might lose his job, so we have to cut back"—which might make him sure you'll be losing the house next—say something like "Nothing major is going to change, but we'll have to wait until next year to go on vacation and we have to hold off on getting the new bike you wanted." It's likely your kid will think "Okay, I can live with that," says Lerner. Help him understand that gifts are thoughtful gestures, not just a way for him to score materialistic gain, says Lerner. Anytime he receives a present, point out everything the giver put into it. If a classmate makes him a friendship bracelet, for example, say "Oh, wow—Lucy remembered that you thought these were cool. She picked out colors she knows you like, and it probably took her a whole hour to make. That is so nice." Do this enough times and he'll get the "quality, not quantity" idea before you know it. Your 5-year-old grimaces at the stuffed Elmo her aunt gives her and says, "But I wanted a Barbie!" "The concept of hiding your own negative feelings to protect someone else's is way too complex for kids five and under," says Lerner. (Older kids get better and better but will still have frequent slipups.) So validate your daughter's feelings without responding critically, says Brooks. Say "I know you wanted a Barbie, but let's think about all the different ways we can play with Elmo." You can also step in and model the appropriate response—and defuse the uncomfortable situation—by exclaiming something like "Wow, that was so thoughtful, wasn't it, Alli? Aunt Karen remembered you needed mittens!" This trick works for all ages: If your older son receives a gift he already owns, for example, say "Oh, cool! That's your favorite game!" Write a little script for your child to follow when he gets a present, recommends Bette Freedson of the National Association of Social Workers. Come up with a stock line or two together, like "Thank you! I like it a lot!" He can also pick out one thing to specifically compliment ("This blanket feels really soft"). Before any gift-getting occasion, prepare your child for the possibility that she may not like all her presents, but at the same time, let her know that it's still important to show her appreciation. Remind her that people put effort into trying to find her the best thing. Then devise a special cue between the two of you, suggests Lerner, that reminds her to say thank you. When you see her mouth turning down, you can clap your hands and say "Great present!" to snap her back into good-manners mode. You can't even take your kid to get socks or lightbulbs without him whining for you to buy him something—seemingly anything. Before you go on any shopping trip, inform your child that you'll be hitting the mall to, say, buy gifts for his cousins. "Engage him in the process," says Lerner. "Ask him what his cousin Jane likes and which toy you should get her. Get him excited about buying for someone else." At the same time, make it clear that you won't be able to buy anything for him. Then, if your son throws a fit at the store, you can refer back to that conversation, and say something like "I know it's hard to be here when you're not getting anything, but that's the rule. Now, I really need your help finding something for Jane." Let's be honest: That might not be enough to stop his whining. But steel yourself and stay strong. Caving in will only teach him that he will eventually get his way if he complains loud or long enough. Your weekends may be errand time, but try to avoid spending all your family moments pushing a shopping cart. That way, your kids won't think acquiring stuff is the leisure-time norm. (Don't get us wrong, though: We know those flattering jeans are sometimes an absolute necessity!) Denver mom Beth Korin says she and her two boys, ages 7 and 9, frequently head to the library, an indoor pool or a rock-climbing gym instead. "We try to think of things we can do that don't involve hanging out in stores," she says. Prepare kids for these events the same way you would for gifts ("We're going to have a big, delicious meal with all of your favorite foods and then we're going to play games!"). The idea you want to get across is that having experiences can be just as exciting as accumulating things (if not more). Your 6-year-old gobbles down the Teddy Grahams that another parent at the playground gives him. But when you prod him to say "Thank you," he won't. It's easy to turn this "teachable moment" into a battle of wills—one where you're repeating "I didn't hear you say thank you!" 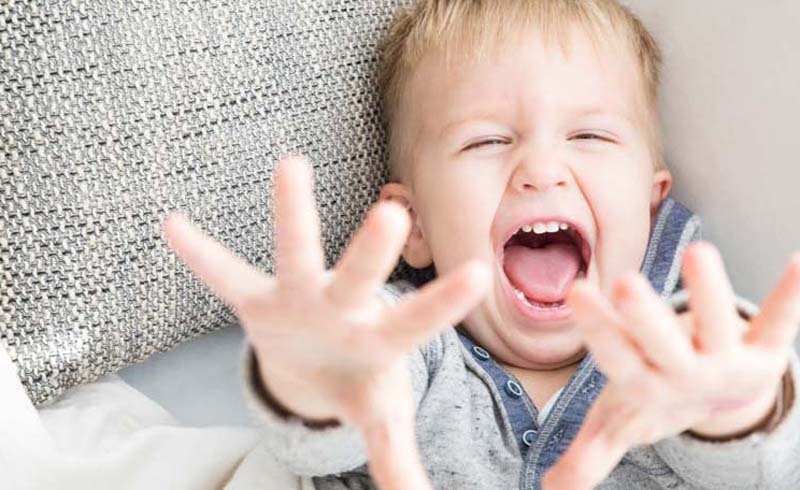 to your tantrum-ing child while the person he's supposed to thank is backing away in discomfort. But, explains Lerner, the fact that your son doesn't always say the words likely just means they haven't become a habit for him yet. "And getting into power struggles actually impedes the process," she says. So while you should definitely remind your kids to give thanks, it's best not to make a big deal about it if it doesn't happen. Remind yourself to model grateful behavior. When your cookie-muncher goes silent, go ahead and say the necessary "Thank you so much!" for him. (At least until he gets older and can be counted on to follow your cues.) In your own everyday interactions, always offer warm thank-yous and praise to grocery store clerks, gas-station attendants, waiters, teachers—anyone who's helpful to you or him. You may think your child isn't paying attention to those small moments, but he actually is. When you say no to a DS that, according to your daughter, "everyone at school" has, she complains that all her BFFs get cooler stuff than she does. Sympathize with her frustration, but remind your daughter that, actually, many people don't have as much as she does. How? Begin a tradition of charity work and donating. Start simple: As young as age 3, children can be encouraged to go through their belongings and pick out items to donate, says Lerner. Every year after that, they can get more involved. Last year, Gabrielle Melchionda of Yarmouth, ME, and her two sons, ages 5 and 9, volunteered to decorate low-income homes for Christmas. "It was so nice to see all of the kids, mine and those who lived there, on their bellies coloring together," she says. "Later, my kids asked things like 'Was that the whole house?' It sparked conversation for months. It was an experience none of us will forget." Expose your daughter to people from all walks of life. "We often try to shield our children from those who are less fortunate, but it's important that kids know how lucky they are," says Dale McGowan, a father of three in Atlanta and coauthor of Parenting Beyond Belief. So the next time you see a homeless person, pass a shelter or read a story in the news about a needy family, he suggests, ask questions—"Where do you think that man sleeps?" or "Can you imagine what it would be like not to have a home? "—that get your kids to put themselves in someone else's shoes. (At the same time, assure them that your family will always have a place to call home.) You'll be surprised—and pleased—at how often kids are moved to want to help. Don't diss yourself as long as your little one is around. In fact, make a point of talking about the redeeming qualities of even that hideous necklace from your mother-in-law—how shiny! 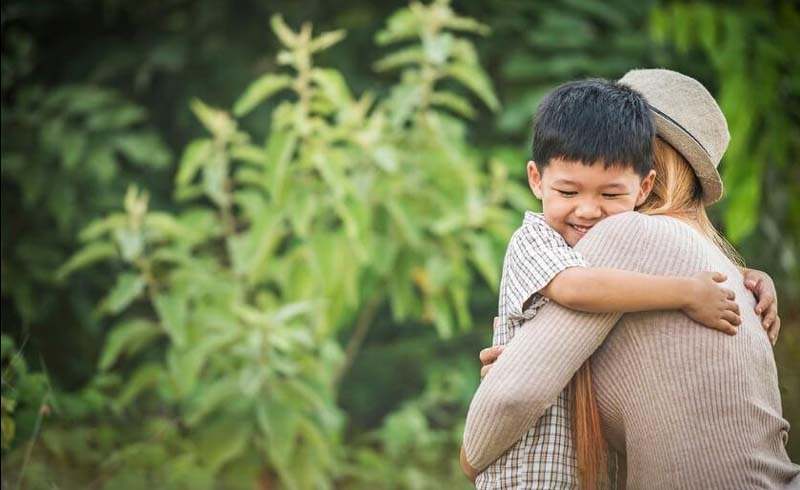 "You have to model gratitude if you want your child to practice it, too," points out Janette B. Benson, Ph.D., associate professor of psychology at the University of Denver.